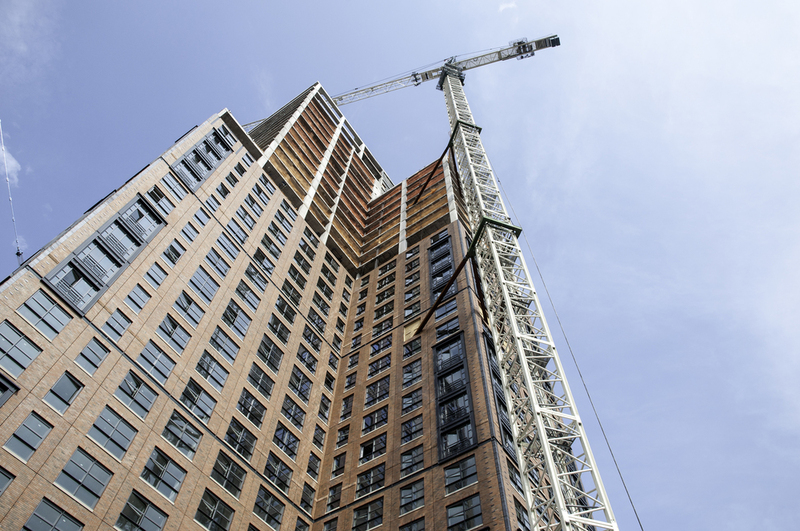 The exterior envelope of brick precast panels is approximately two thirds installed at Robert Stern's residential condo adjacent to the Hudson Yards megaproject and the High Line. Following a recent trend in residential projects in New York, the tower's exterior design draws inspiration from the city's industrial past with its brick and black metal framed windows with divided lights. When the Hudson Yards district is fully developed this project will provide a much needed material contrast to the dominant glass towers from KPF, David Childs and DS+R across the street.